A fantastic vanilla cupcake paired with raspberry jam and topped with a perfectly pipeable cream cheese frosting. These Raspberry Vanilla Cupcakes with Cream Cheese Frosting are going to blow you away! I chose this specific recipe for its simplicity and depth of flavor. 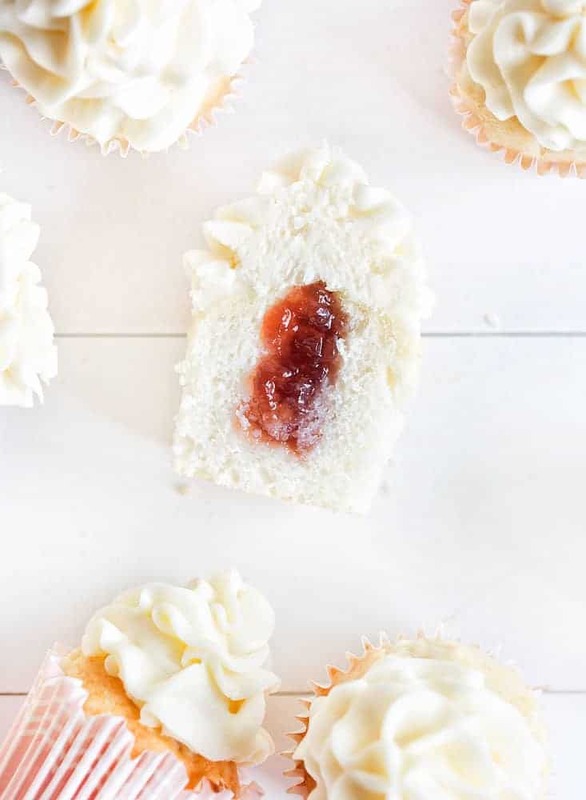 If you love vanilla (and I do) this cupcake is the one to make. The texture is similar to that of a muffin, but the flavor is pure vanilla goodness. 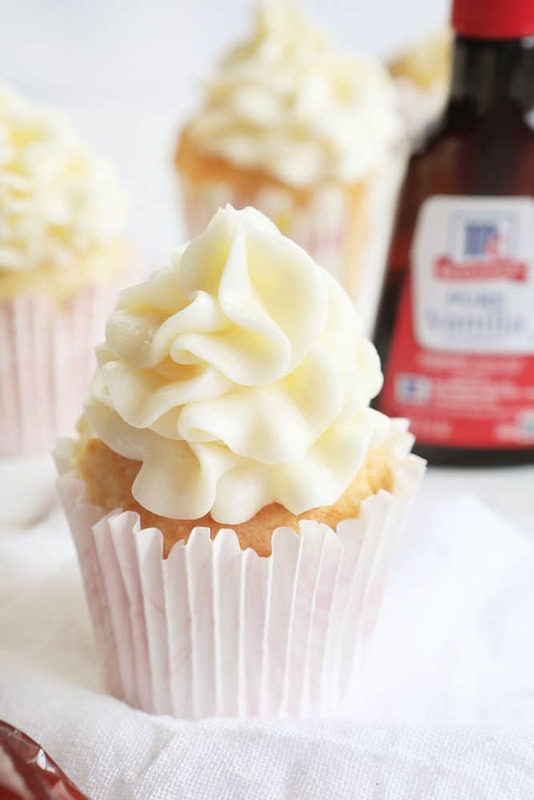 There are only 7 ingredients in this vanilla cupcake recipe, so you want to make sure you are using the best quality products you can find. 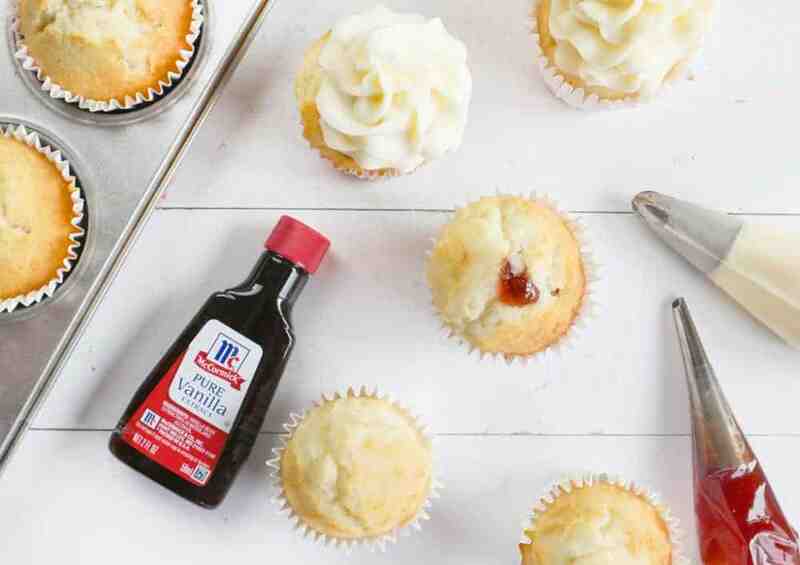 I know I reach for my McCormick Pure Vanilla Extract when I want a reliable, consistent, and perfectly formulated vanilla extract! A lot of time and care goes into making pure vanilla. It all starts in Madagascar where it takes three years for vanilla orchids to mature. They then flower for just a single day, so each bloom has to be hand-pollinated before it wilts. Then it’s another eight to nine months before they ripen! Once the vanilla beans from the vanilla orchids mature, the beans dry in the sun and get wrapped up at night to sweat. This helps lock in pure flavor and the ideal amount of moisture. After three to five months of sun and sweat, the beans are mixed into a special blend that produces vanilla extract. They are then tested for aroma, color, and flavor dozens of times. It’s a long trip for pure vanilla and one McCormick takes very seriously! I recently attended an event hosted by McCormick that was a pure flavor extravaganza. We were allowed to taste test between McCormick vanilla and a leading competitor. A noticable difference was the aroma. McCormick’s had a strong Bourbon smell while the competitor almost smelled like plastic. Like Play-Doh! The color was different… the competitor was murky and cloudy while McCormick’s was purely dark and rich. Then most importantly, the taste! The competitor was overly sweet and lacked depth. McCormick’s flavor had beautiful vanilla tones that almost tasted carmelized and was perfectly sweet. It was shocking, to say the least! It’s safe to say that after a day of knowledge I am obsessed with the pure flavor that is McCormick’s Pure Vanilla Extract! When testing this recipe I knew I wanted the vanilla to be the star. To make that happen I needed to come up with a contrasting flavor that complimented the cupcake beautifully, and that was achieved by adding raspberry jam. 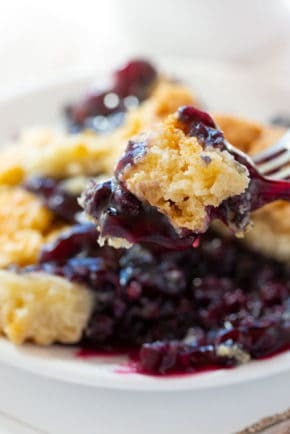 I chose a seedless jam for the surprise inside filling simply because I love the texture and the idea of each bite melting in your mouth. 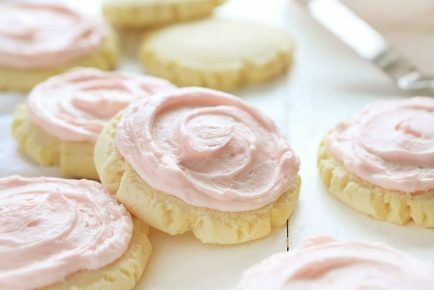 You could make your own raspberry filling from scratch or opt for a seeded jam if you prefer! This cream cheese frosting is sweet. So wonderfully sweet! But it also has undertones of bourbon and vanilla thanks to the addition of the McCormick’s Pure Vanilla Extract. I also wanted to pipe the frosting, so I added more confectioner’s sugar than I normally would. This made the addition of the extract very important! If you don’t mind a rustic looking cupcake you can add half the amount of sugar to the Cream Cheese Frosting recipe listed below. It will not be pipeable, but it will be delicious. Perfect vanilla cupcakes paired with raspberry and cream cheese. This is a sweet sensation! Preheat oven to 350°F. Line a 12-cup cupcake pan with paper baking cups. 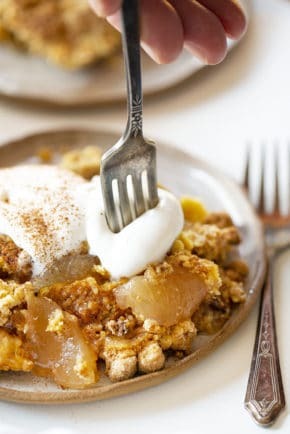 In a large bowl, mix butter and sugar with an electric mixer or hand-held mixer until light and fluffy, about 5 minutes. Stir in the egg whites, one at a time, blending well after each one. Stir in the vanilla and flour just until mixed. Add milk as needed. You want the batter to be similar to a pancake batter consistency. Spoon the batter into the prepared cups, dividing evenly. Bake until the tops spring back when lightly pressed, 18 to 20 minutes. Cool in the pan set over a wire rack. Place jam into a piping bag fitted with a 230 tip. Press tip into the baked and cooled cupcake at least half-way down and apply pressure to the piping bag. Slowly start to move tip up and out of the cupcake applying pressure the whole time. Repeat on all cupcakes. 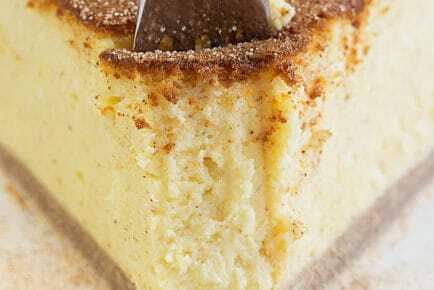 In the bowl of a stand mixer, combine butter, cream cheese, confectioners' sugar, and vanilla. Mix until creamy, about 3-5 minutes. 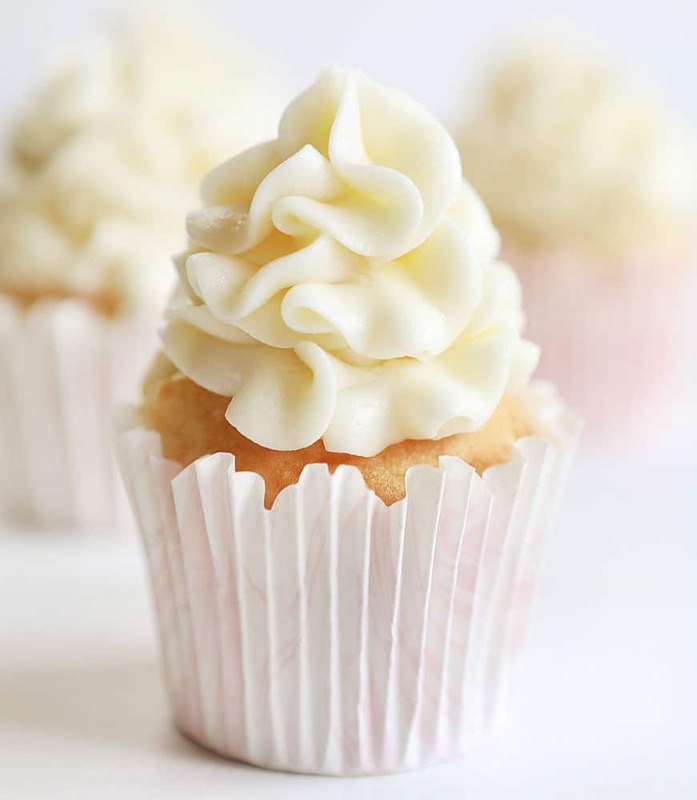 Place frosting into a piping bag fitted with a 1M tip. Pipe out cream cheese swirls over the cupcakes that have been filled with jam. It was an absolute joy to learn all about the intricacies of vanilla from my friends at McCormick. I am thankful to partner with a brand that takes quality so seriously! Thank you for supporting the brands that support us here at iambaker. 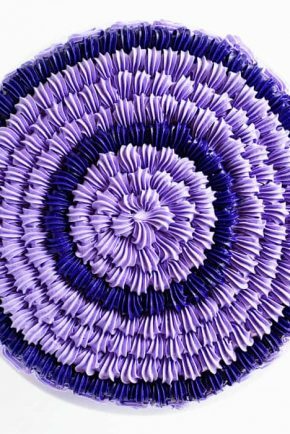 Can you tell me where I can purchase the cupcake liners from? Beautiful cupcakes, love the pop of red in the middle! Pinned! just made the vanilla cupcake with raspberry jam. the recipe calls for baking powder, I added that then I watched the video, it calls for salt. which is it. Why egg whites and not the whole egg? I love yo make sweets and others foods and so does my mom. I learned all my cooking and baking skills from my mom. 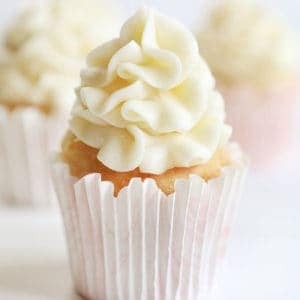 Hi Amanda, vanilla is my favorite flavour in every sense and you shared vanilla cupcakes which I like very much. 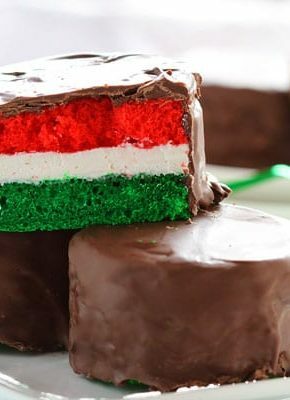 I will definitely try this recipe once at my home and also I am looking forward you will shared this type of post again. Keep sharing! Thanks for sharing your recipe. I have one question. When I make cupcakes the wrappers pull away when they come out of the oven. What am I doing wrong? I was going to try these, sound delicious, but I’m confused about the baking powder. It isn’t mentioned in the instructions. Also, is there supposed to be salt in the recipe? Please clarify, thank you! I love your baking.keep baking and inspiring us. My question to you for this vanilla cupcake is, can we substitute almond milk with whole milk here?